Seems like Yahoo! Inc. (NASDAQ:YHOO)’s best days are endangered by two Mexican companies who have sued Yahoo along with Baker & McKenzie, law-firm, for avoiding a $2.7 billion judgment given by a Mexico court in 2012. A Mexican judge gave the ruling in December 2012 over a contractual dispute between Yahoo and associated Mexican companies over some online search project targeted in Mexico. The associated companies filed a lawsuit in 2011 in a Mexico court citing that Yahoo ended the project prematurely and demanded damage charges. 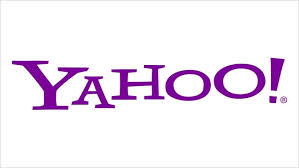 The new lawsuit charged Yahoo! Inc. (NASDAQ:YHOO) and its lawyer Baker & McKenzie with manipulating the appellate chief judge with the help of a corrupt Mexican federal judge to reduce the settlement amount to $172,500. The appealing party has provided witness statements including the original trial judge. This lawsuit is likely to create some legal issues for Yahoo in upcoming years.